Teaching Models research papers discuss the three basic models used in teaching. When considering the various teaching models that exist within the classroom environment, there are a number of ways that instructors can convey new material to their students. 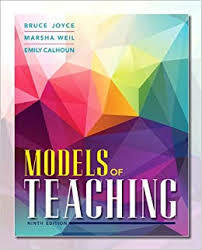 In general, there are three basic models that can be used: top-down models that are rooted in direct instruction from teacher to student, negotiated models that share responsibility between students and instructors relatively equally, and bottom-up models that are rooted in student-centered instruction. Each of these models has their most appropriate environment in which to be used, as well as their respective benefits and drawbacks. Top-down models are often seen in higher education environments, such as college classrooms. However, these are criticized for not involving students enough in the educational process and for being too rigid in their specific instructional strategies. By contrast, bottom-up models are most appropriate in hands-on environments, such as classroom experiences where students are tasked with solving practical problems. This is also appropriate for group learning where teachers can provide scaffolding for students and serve more in a coaching role. The negotiated model, though, blends the best of both of these, giving students a greater level of independence while ensuring they are exposed to enough content to keep them progressing academically. In any classroom environment, the teaching models can vary dramatically, but should always be built on the goals of the instructor and student alike, as well as the educational skills of the latter, and the content as required by the former. Paper Masters writes custom research papers on Teaching Models and discuss the three basic models used in teaching.